Hello! It’s Courtney from Paperelli, where I design printables, cards, & invitations. I am here on Remodelaholic today to share another beautiful free Printable! I am always trying to design printables, like the Black and White Art Print or the Chalkboard Love Print, that are neutral enough to work in lots of homes. Today, I am sharing another 8×10″ print neutral enough to fit into any home decor. “Like wildflowers; You must follow your dream and learn to grow in all the places people never thought you would.” -E.V. How is that for an amazing, motivational quote? I love creating printables that include motivational quotes because I can put them up in my home to uplift my family AND I can print them off to give to a friend who could use a little pick-me-up! It’s easy, all you need to do is download the Wildflower Printable by clicking the link below, print on white paper & slip into your favorite frame. If you’re concerned about using up printer ink, you can also take the file to a copy shop for an inexpensive and high quality color print. I always love seeing what you do with your printables! Do you plan to print them off and use as decor in your home? Office? Or maybe gift them to a friend who would enjoy the uplifting quote? Be sure to tag @PaperelliDesigns and @Remodelaholic on Instagram. 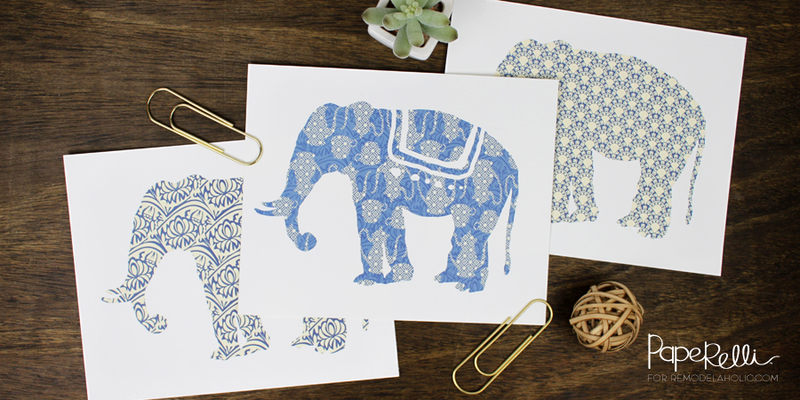 Or use #paperelliprintables. More free home decor printables to make decorating easy! Thanks to all of you who design and share pictures that can be changed out every season.